Bold, tough and incredibly refined, the all-new 2017 GMC Acadia in Scottsdale leaves a powerful impression on everyone it crosses paths with. With a spacious cabin fit with seven seats, an available All-Terrain model and towing packages, the Acadia can get the kids to school and handle the rocky roads all the way to the family cabin with the boat in tow. The redesigned exterior gives the SUV a more distinct, eye-catching look while a smaller, lighter body provides improved handling and maneuvering. A range of technology and safety upgrades, as well as the addition of a luxury Denali model, make this midsized SUV a must-own. The 2017 GMC Acadia in the Phoenix area stands out with a more sculpted body, wrap-around headlights with LED accents, tapered taillights and a newly designed trapezoidal grille that differs slightly between models. Many 2017 GMC Acadia reviews favor the new slimmed down silhouette because it improves efficiency and simplifies navigation in tighter spaces. The cabin offers a lot of wiggle room with an optional third row (not available on All-Terrain). The soft seating paired with a leather-wrapped control-mounted steering wheel, tri-zone climate control and remote keyless entry offer a premium feel. Five USB ports accompanied by a 7-inch touchscreen with the newly updated IntelliLink with a 4G LTE Wi-Fi hotspot connect users to their worlds wherever they go. IntelliLink is voice-controlled and Apple CarPlay and Android Auto compatible. Select models (SL, SLE) now come standard with a 2.5-liter 4-cylinder engine that makes 194 horsepower and 188 lb.-ft. of torque. This engine is great for everyday use and towing light loads around 1000 lbs. FWD models get 21 city/26 highway mpg, and AWD models come in at about 21/25. Higher grades (SLT, All-Terrain and Denali) come standard with a 3.6L V6 capable of 310 horsepower and 271 lb.-ft. of torque, making it more suitable for heavier towing with an estimated 4000 lb. capacity. The V6 engines get an estimated 18 city/25 highway mpg on both FWD and AWD models. Both engines come paired to a 6-speed automatic transmission. 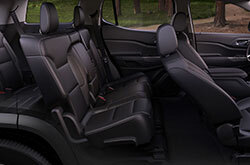 The Acadia comes with a lot of safety features that make it one of the safest SUVs available, especially for families. 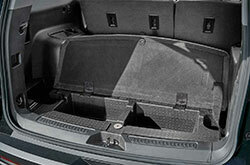 Many 2017 GMC Acadia reviews are talking about GMC's innovative rear seat reminder that prompts drivers to double check the back seat before leaving the vehicle. All Acadias in the lineup come standard with a rear vision camera and Stabilitrak with traction control. Select models come standard with more advanced driver assistance technologies such as blind zone alert, rear cross traffic alert, rear park assist, lane departure warning, forward collision alert and automatic emergency braking. Schedule a test drive in the Phoenix area today to try these features out for yourself! 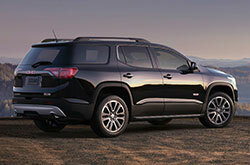 Want More Specs on the GMC Acadia? Considering a new car to buy in the Phoenix area? 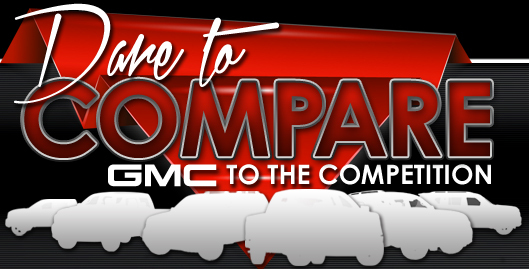 If so, don't just view the 2017 Nissan Pathfinder, Honda Pilot, Toyota Highlander, Buick Enclave and the Mazda CX-9; be sure to think about the dashing 2017 GMC Acadia along with these options. You could find that with its collection of user-friendly features and fun personality, it suits your individual needs. 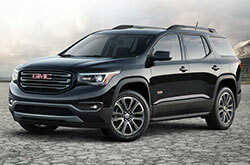 Take advantage of the details included in our report to see if the 2017 GMC Acadia is a good match for you; and then, take a look at exclusive dealership incentives offered at Van Buick GMC. 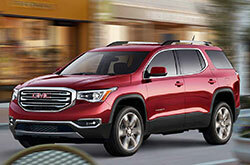 For new and used cars, choose us to find a marvelous selection, which includes the peerless GMC Acadia. We hope the facts and figures in our 2017 GMC Acadia review will be important when you make your ultimate purchase decision. You are guaranteed to be blown away when you visit Van Buick GMC to test drive the GMC Acadia; we encourage you to come experience the model for yourself. Are you hoping to see its interior before stopping by? Check out our video clip to get a glance at its interior features!